JNA Awards invites qualified companies and individuals to take part in the highly anticipated JNA Awards 2019. Now on its eighth edition, the annual awards programme is officially open and will accept entries until 26 April 2019. Organised by UBM Asia, the JNA Awards is dedicated to recognising, celebrating and encouraging best business practices, excellence and innovation. It has also honoured outstanding individuals and companies in the international jewellery and gemstone industry since its inception in 2012. “Take the opportunity to illustrate why you or your company deserve to lead in a JNA Awards category. Be part of an exclusive list of outstanding jewellery companies that have won or become Honourees in the JNA Awards – the only one that exclusively covers the jewellery industry,” James Courage added. 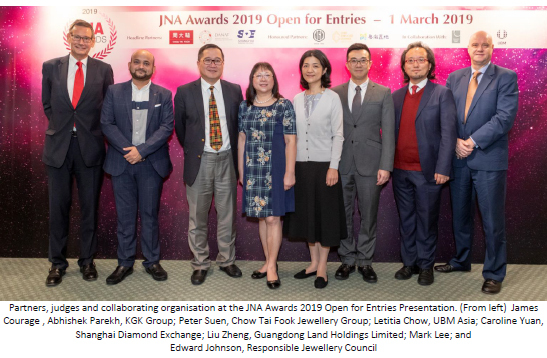 Letitia Chow, Chairperson of the JNA Awards, and Director of Business Development – Jewellery Group at UBM Asia, said, “In the past seven years, the JNA Awards has established itself as an influential platform for the international jewellery and gemstone industry to come together and share success cases for the advancement of the trade. We hope to continue to attract more innovators and pioneers to take part in this prestigious and inspiring awards event to showcase positive developments in the industry." 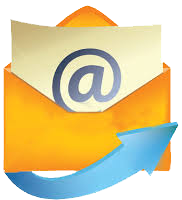 To enter the JNA Awards, interested parties must complete and submit their entry forms no later than midnight (Hong Kong time) of 26 April 2019. Honourees or shortlisted entrants will be announced on 20 June 2019 at the June Hong Kong Jewellery & Gem Fair.